Surfers have been ordering custom shaped surfboards for decades. 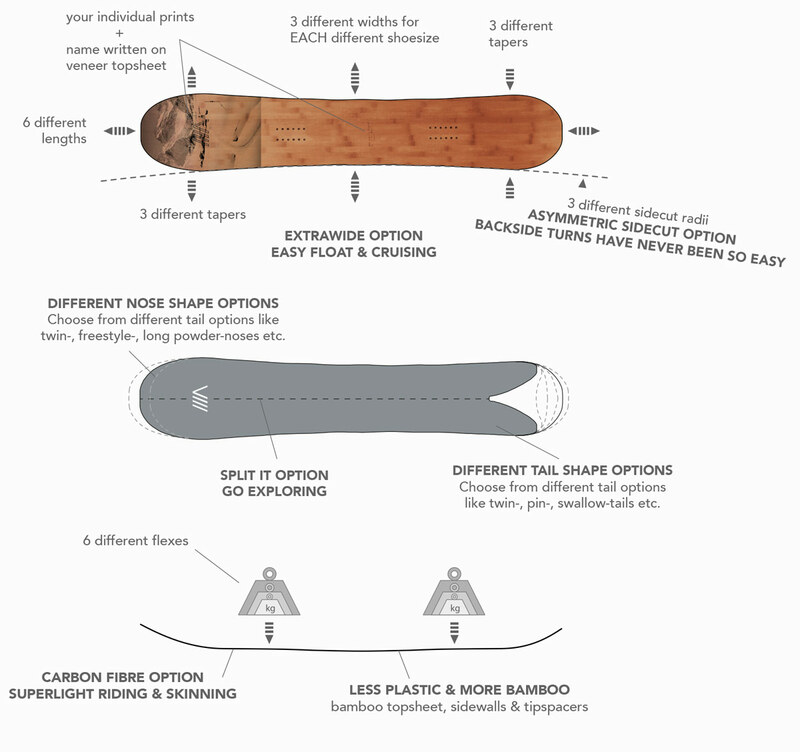 Finally snowboarders can order customised snowboards as well. Because everyone is different. No one has the same physique, rides with the same style or prefers the same terrain. So a board shaped especially for you will make you ride better. And nothing beats the feeling of riding a board with your name written on it. Made with love in Davos; Switzerland. Nothing extreme... just some wide smiles from TRIAAA shaper & friends building boards and riding them in the Davos backcountry.